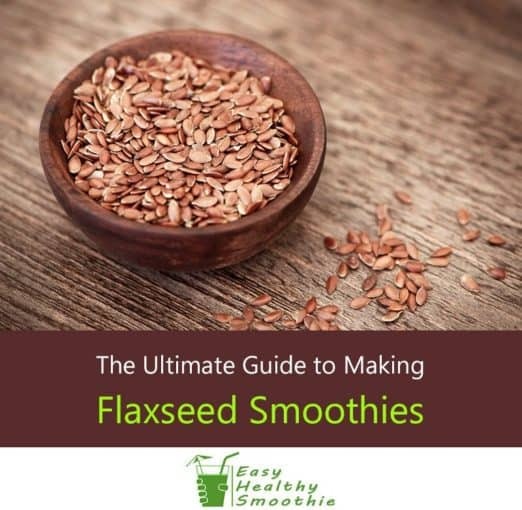 There is one simple way around this though - adding flaxseed to your smoothies! 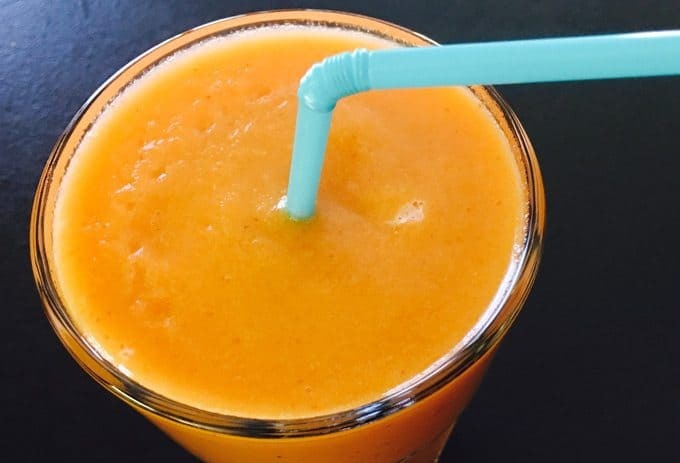 A delicious smoothie easily hides the taste of flax. 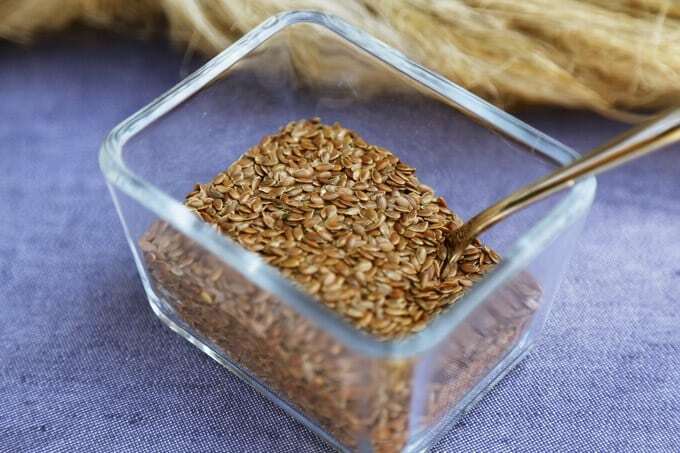 2004 research in the Nutrition Journal found that as part of a diet rich in fruits and veggies, flaxseed can make you less likely to get cancer - particularly certain types. Flax seeds aren’t that easy to di﻿﻿gest and our bodies don’t absorb the full array of nutrients unless they’re ground up first. Alternatively, a Blendtec twiste﻿﻿r jar, can do the job really quickly so they’re perfect if you’re pushed for time and need to grind your flax as quickly as possible. It’s an effective method, but not so cheap. ​You’ll need a terracotta plate. These are widely available from home and garden stores and nurseries. Also buy a bag of flax, preferably the most natural and organic﻿﻿ you can find. Otherwise, you risk it being concentrated in certain areas and this can affect both the taste and texture of your smoothie - usually for the worse! Always remember ground flax and flaxseed oil need to be kept in the refrigerator to stop them spoiling - this is particularly important for flaxseed oil. 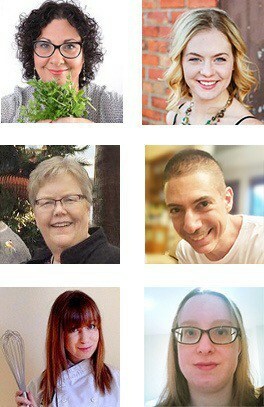 Now for the really fun part - those all important recipes to help you make the most of flaxseeds! The banana makes this smoothie deliciously creamy and the blueberries provide an antioxidant hit. 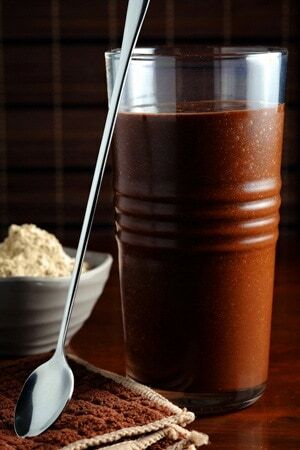 Combined with the flaxseed, this is a super healthy smoothie that also happens to taste great! Add all ingredients except the blueberries and blend on the lowest setting until the mixture is smooth - probably for around 10 seconds. Gradually add in the blueberries while continuing to blend on low speed. Once the blueberries have all been added, you can increase the speed until you get to the consistency you want. NB: If you’ve got a high end blender such as a Vitamix or Blendtec, just add all ingredients and hit the blend button. These ingredients go together perfectly and provide a good range of vitamins too. It’s great for weight loss as well! Give your flaxseed smoothie a berry and citrus twist with this healthy recipe. Put everything together in a blender and blend until smooth and frothy. Almond and cocoa combine for a smoothie that feels like a dessert but is full of good stuff. The Greek yogurt will leave you feeling fuller for longer too! Just add everything to the blender and mix until smooth. 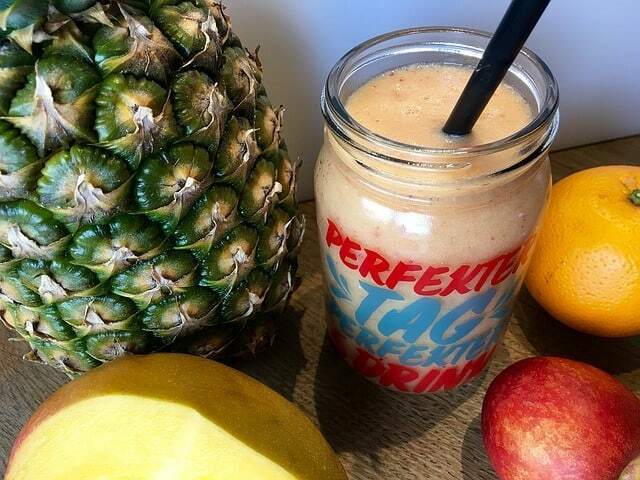 Fancy adding a tropical vibe to your flaxseed smoothie? The pineapple and mango will do just that and adding the Greek yogurt will fill you up and help your weight loss efforts. Put everything in the blender and combine until the mixture is smooth. 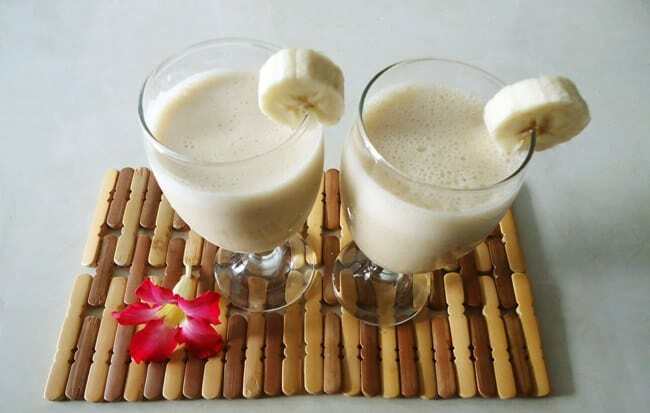 The protein in the peanut butter will keep you feeling full and add a nutty taste, while the banana gives a creamy dessert-like consistency for a guilt free healthy smoothie snack! Put everything in the blender and mix until you get your desired consistency. 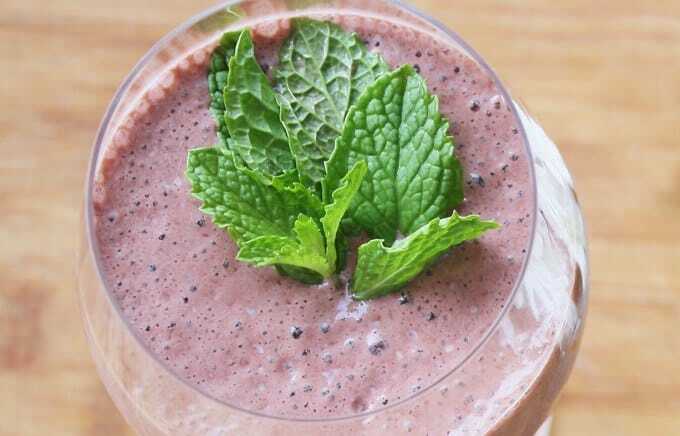 This smoothie will keep you feeling full all morning if you have it for breakfast! Add all of your ingredients into a blender, and pulse for up to 15 seconds. It tastes great chilled so you’ll probably want to add some ice cubes once you’re ready to serve. 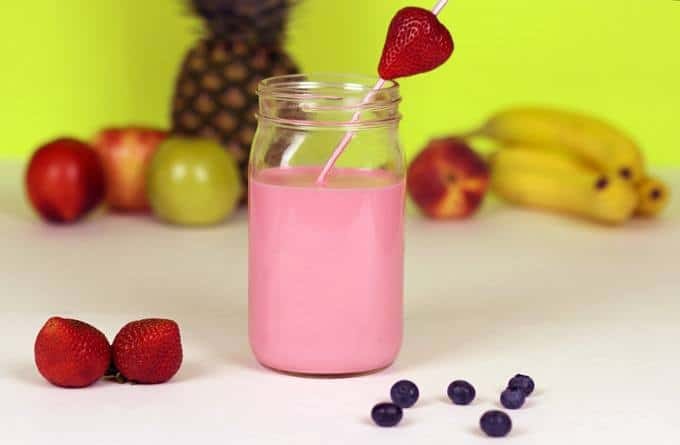 If you’re preparing your smoothie ahead of time, you can keep it refrigerated overnight for the same effect. This deliciously creamy treat is a guilt free treat that will keep you feeling full! Put everything into a blender and blend until the mixture is nice and smooth. Pour into a serving glass and you’re good to go! 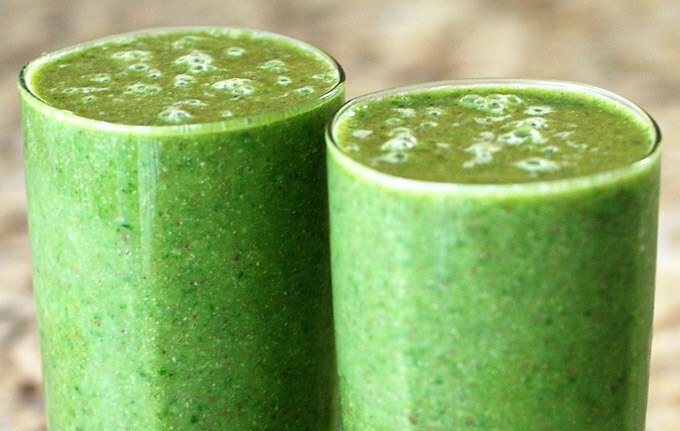 If you’re a big fan of green smoothies, this recipe is a great way to get a delicious creamy texture while still getting those vital nutrients. Pulse a few times, then blend until the mixture is smooth. 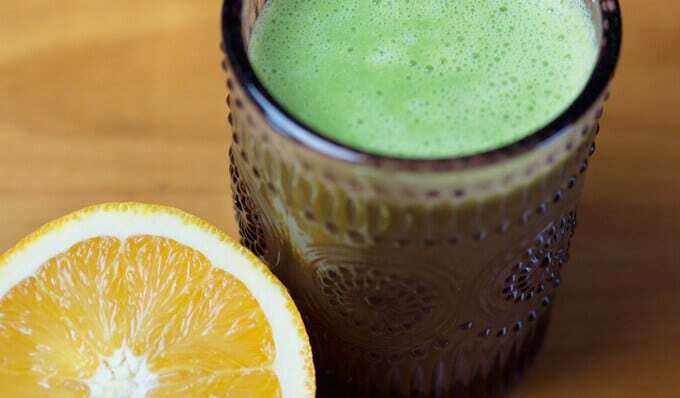 For those of you who love their green smoothies, this recipe provides a bit of a twist for added vitamin C and also contains nutritious (and weight loss friendly) chia seeds! Blend on high speed until the mixture is smooth. If you prefer a less dense consistency, you can add a bit more milk. I really hope you enjoyed this tutorial. Now you know how easy it is to include flaxseed in your smoothies, it’s time to start reaping the health and weight loss benefits! You’ll need a few things to help you prepare and store your flax seeds - namely a coffee or spice grinder and airtight containers for storage. Let me know your thoughts in the comments section. 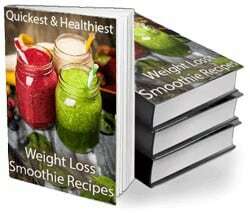 I’d love to hear which flaxseed smoothie recipes you’ll be trying out next! Health benefits of flaxseed, why flax is good for weight loss, and how to make delicious homemade flaxseed smoothies that overcome the taste of flax. Yesterday I tried the cocoa almond flaxseed recipe and it was really delicious! today revisited the recipe but this time I tried to add a spoon of avocado, and was delicious as well, I recommend it. Hi Ruth, thanks for your suggestion. Avocado is also one of my all time favorite smoothie additions! 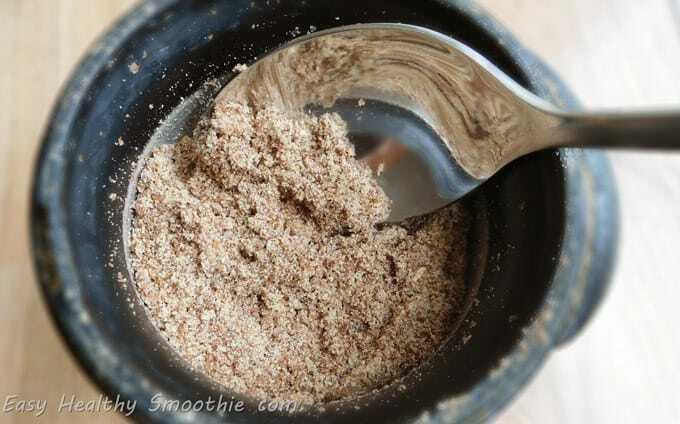 I sometimes add ground flax to my smoothies. Thanks for explaining about the grinding. I’m going to buy the whole flax version instead of the ready made and grind myself for better nutritional value. Thanks for your comments Alex. I’m also buying whole flax and grind it with a coffee grinder. I tried the peanut butter and banana flax recipe this week and it was delicious! I used fat free yogurt this time but next time I’m planning to swap that out for Greek yogurt in the future as I eat a lot of that. Do you think this recipe would still work if I use nut milk instead of regular milk? Hi Lucy, I’d say nut milk would probably work pretty well as the recipe is peanut butter based so there’s going to be a fairly nutty vibe to it. Hi Lucy, that’s a great question! I’d agree with Jenny and say it wouldn’t affect the flavor in a negative way to swap for nut milk. Hi Jennifer, thanks for checking in with me! I used the nut milk and it was fine, pretty delicious actually so you were both right about that. I’m loving the sound of the tropical flaxseed smoothie 🙂 Going to give that one a go tomorrow I think! Awesome, Mark 🙂 How did you find it? Heard a lot of good things about flaxseeds so I’m looking forward to adding them to some of my smoothies! Some great ideas here, especially the tropical flaxseed one … will be trying that out soon! Awesome post, thanks so much! 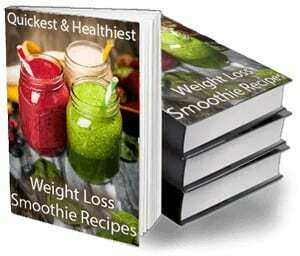 I’ve been wanting to make flaxseed smoothies for a while and I’m loving the look of some of these recipes. You’re very welcome, Ellie! So glad we could introduce you to some yummy and healthy ways to add flaxseed to your smoothies 🙂 Hope you like them! Really wanting to get into flaxseed smoothies so I’m really excited to come across this post! Thanks for putting it together 🙂 Think I’ll be using a coffee grinder for my flax.